Craig Porter is the former Director of Photography and Video at the Detroit Free Press. Starting as a summer intern in the photo department in 1975, he has worked as staff photographer, sports photographer, assignment editor, day slot editor, night/Nation/World editor, features editor, assistant director of photography/technology, deputy director of photography and director. Since 2000 he has been in charge of the day-to-day running of the photo and video department. How did you first come to use Leica cameras? In the mid-70s, we still shot only black and white, and Leica was the photojournalist’s dream camera. As a student, I was heavily influenced by photographers such as Elliott Erwitt, Henri Cartier-Bresson and W. Eugene Smith. 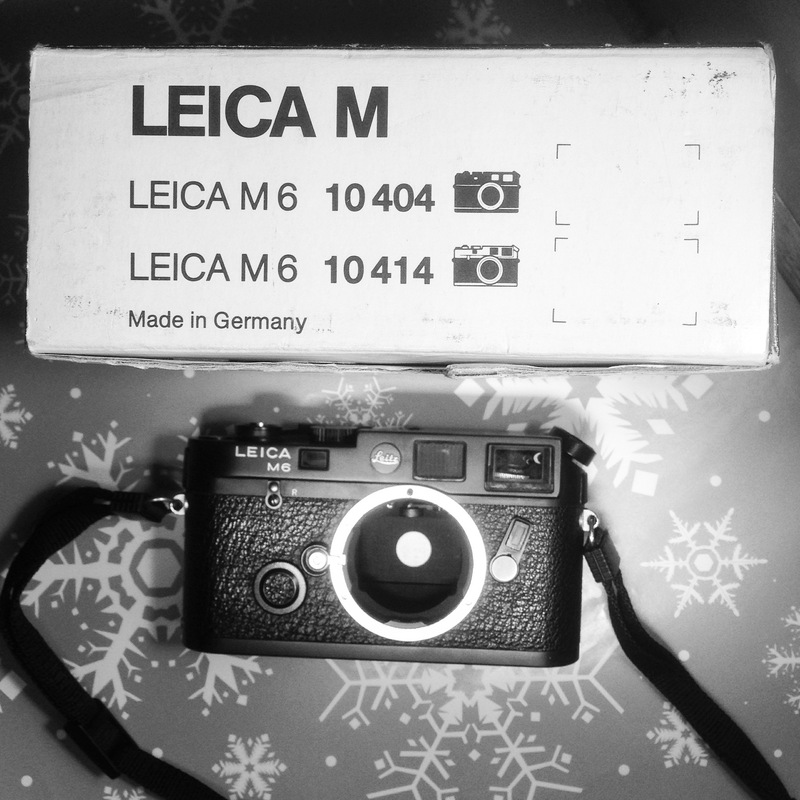 My first Leica was a chrome-body M4. I fell in love with its small size, incredibly quiet shutter release and the way it became an extension of my eye. Subjects weren’t intimidated by it – it didn’t create an obstacle as bigger, louder cameras can do. For years newspaper photographers shot ISO 400 Kodak Tri-X black and white film. After shooting only one film for a while, you got to know your exposures instinctively and would nudge the aperture ring or the shutter speed dial as you moved through an assignment. So you didn’t really need a meter in your manual exposure camera. When the M6 came out with an internal light meter, I found that I could integrate light metering into my shooting in a seamless way. And at that time we were starting to mix it up, shooting colour film and black and white film, often on the same assignment. So some precision was in order. Otherwise, the M6 is the same manual focus workhorse I’ve come to love. For professional work I carried two black M6s and an M3 with 21mm f:3.4, 28mm f:2.8, 35mm f:2.0 and 90mm f:2.8 lenses. Why do you continue to use Leicas? Unfortunately, what’s appealing about them is what makes them less useful in today’s world. But I still find the film Leicas iconically beautiful in this digital era. It’s true: you can’t see the image immediately. You can’t transmit directly from the camera to a blog or Instagram, and even Buy instagram likes at the same time. You can’t instantly share what you’ve just seen, as you can with digital cameras and smartphones. But turn that around and you arrive at the need to slow down a bit, contemplate your photography, anticipate the shot and avoid scatter gunning the event. Remember, you only have 36 images on one roll of film and they go pretty quickly when you’re used to unlimited space on an SD card. How do you see film Leicas cameras being used in a digital age? Here’s what I would do: carry the Leica with black and white ISO 400 film. I’d use a 28mm lens with the old optical viewfinder perched on top for the cleanest view of my subjects, then use it in situations with images that I wouldn’t mind waiting to see. I’d still use my iPhone for quickie shots, selfies and my SLR’s for those day-to-day colour shots you want of family and travel. But the Leica shots? I’d have the film processed and returned to me, from which I’d do a careful edit and select only the ones I’d like to have as 11×14 prints. From there I’d either do my own darkroom work or, more likely, I’d have the negatives scanned so I could print beautiful black and white prints on a digital printer, crossing over to the digital world at that point. This entry was posted in Famous Leica Users, Leica Film camera, Leica History, Leica M6 and tagged Leica M6 on August 8, 2016 by Leicaphila. Interesting retrospective. What you wrote about the M4 also applies to using a Rolleiflex. Subjects are not intimidated by the odd box-shaped camera with the two small lenses (unlike the intimidating cyclopean glass eye of a hulking DSLR). And with only 12 exposures per 120 roll, you really need to contemplate your scene as well as technical aspects (exposure, depth of field, etc.). I think that is why many film photographers now create more meaningful work – they had to think. I agree with the author. I use my Leica M-A every day, even for family photos. I scan and print everything, store the prints in a PH neutral box and from the really nice photos I make bigger enlargements, either with a Focomat 1c OR Pixma Pro 1 digital printer. It’s more work than shooting with a digital camera but the act of shooting film with my Leica is so much more satisfying. Even the digital prints have the depth and grain structure of 35 mm film. Interesting remark that, while using a 28mm lens, presumably on an M6 body, he nonetheless uses the plug-in viewfinder. The M6, like the M4-P before it, has a frame for 28mm lenses. I use a number of the viewfinderless/rangefinderless MD/MDa/MD2 cameras with wide angle lenses with viewfinders in the top. These give a far brighter, clearer view than the viewfinder in the M bodies, even newer ones like M6/M7. I don’t use digital at all. I had the privilege of working with Craig at the Freep in 1976 –hi Craig!– as graphics editor of the Sunday magazine. The Free Press photo staff was a dream team then, and I bet it still is. Gene Smith was an inspiration for me too; as a Notre Dame sophomore I devoured his work in old Life magazines I found in the university library, and then quit engineering to study photography at RISD. I still have all my old Leica gear, except for the 200mm Telyt I traded for a Nikon FTn, an act for which I am still kicking myself today.